Kratos is back from retirement to help out with some outreach! 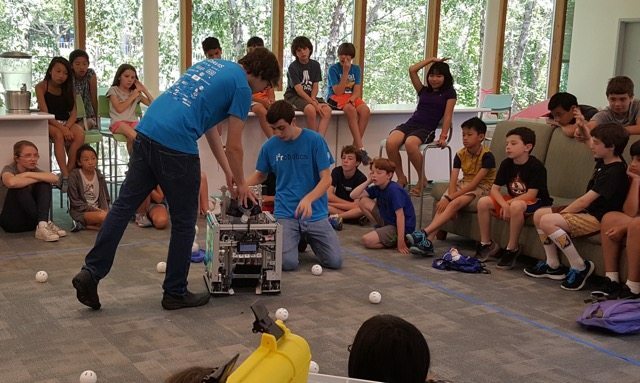 Two of our members, Ben and Nathanael, visited the i2 STEM Camp in Greenwich taught by Ms Sestito, coach of Robo Epic, Team 5017. 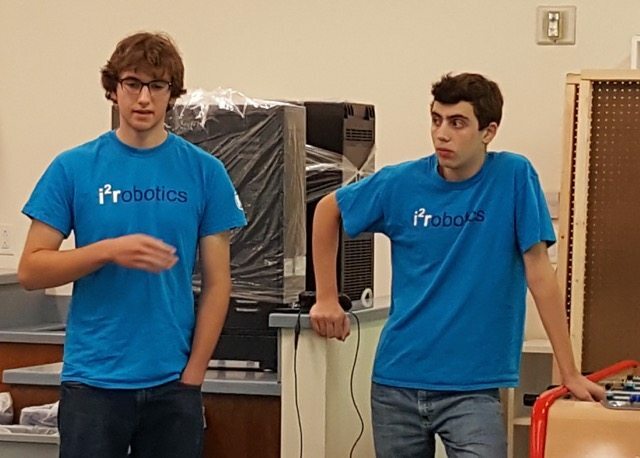 We demonstrated the updated Kratos with the new Android control system, and Ben and explained what FIRST and FTC are all about! 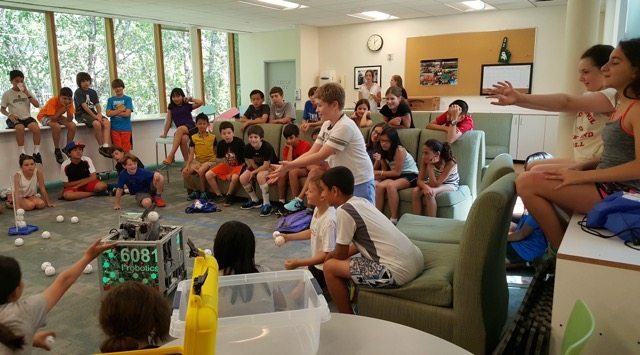 We arrived and quickly set up the robot to prepare for the 50 i2 STEM campers. 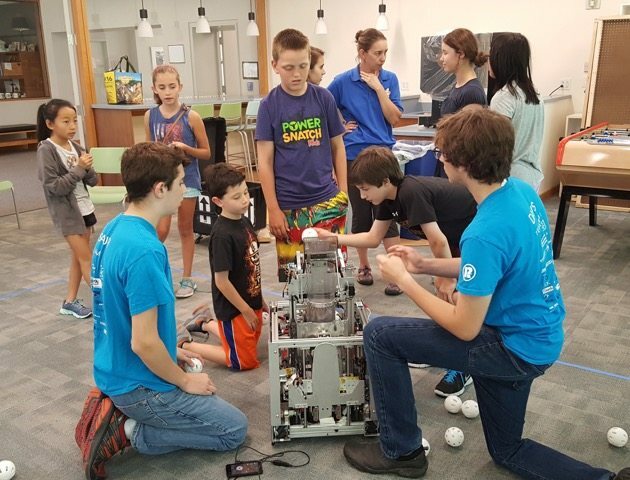 Ben talked to the kids about the design and features of the robot, and its current functioning as well as how it functioned at the 2014-15 competitions. Nathanael and Ben demoed Kratos, showing off its main functions; picking up the tube, collecting the balls, and popping the balls into the tube. 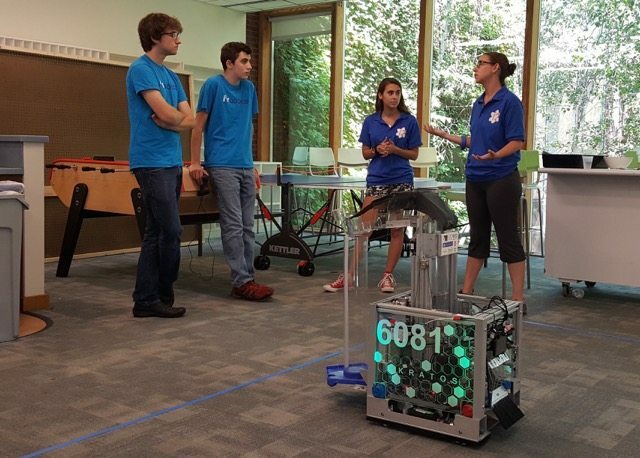 After describing how the 2014-15 Cascade Effect Game Challenge was played, and demoing the bot, we had a little fun. Nathanael started controlling Kratos to pick up balls and launch them into the audience, which the kids loved! Sadly, after a bit of fun, the kids had to leave. As they filed out, a few kids stuck behind to ask a few questions, and we were happy to answer! Overall, it was a great experience for both the team and the kids. Thanks for the invite Ms Sestito!